USARK Fights Cat Ex in Washington D.C.
Summer has been a busy time for USARK! In July, USARK President Phil Goss, accompanied by our legal team at Kelley Drye, spent two full days in Washington, D.C. opposing the categorical exclusion (Cat Ex) for Lacey Act listings by the Department of the Interior and United States Fish and Wildlife Service (USFWS). Traveling to Capitol Hill, USARK visited with over a dozen House, Senate and key Congressional Committee offices, receiving strong support at every stop. 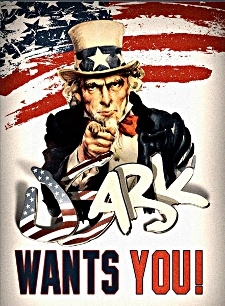 The legal expertise and government connections held by USARK’s legal team are undeniably among the most influential in Washington. As a result of USARK’s efforts, we obtained the signatures of key House Natural Resources Subcommittee Chairmen on a letter to USFWS Director Dan Ashe opposing the categorical exclusion waiver for Lacey Act listings (view the letter HERE). In addition, we spent over an hour formulating strategy with the Small Business Office of Advocacy (SBA) on collaborative efforts to oppose the Cat Ex proposal, and ultimately the listing of the remaining animals on the Lacey Act. In support of SBA, USARK requested an extension to the comment period (which was granted and the deadline will be 60 days from the re-opening date). You can use the USARK Action Alert (HERE) to voice your opposition. USARK was well-prepared and submitted extensive comments before the original deadline. As USARK has previously noted, FWS is proposing a “categorical exclusion” from the National Environmental Policy Act (better known simply as “NEPA”) when it acts to ban importation and interstate trade in reptiles and other species it, in its sole judgment, considers “injurious.” In response, we filed thorough and legally-supported opposition to FWS’ unwarranted and unjustified proposal to exempt Lacey Act listings from environmental and scientific review and public comment. Additionally, USARK worked with several top reptile breeders in Florida to combat a push by the anti-pet groups before Congress to list the remaining five species of constrictor snakes (including boa constrictors and reticulated pythons) as injurious under the Lacey Act. These groups are seeking assistance from Florida’s Representative Vern Buchanan to gather signatures from colleagues in support of this listing. A letter was drafted by USARK and signed by many of Florida's reptile industry leaders. The letter was personally delivered by USARK’s legal counsel to Representative Buchanan’s office urging him to delay sending the letter from the anti-pet groups until our Florida-based stakeholders can have an opportunity to brief him and present more accurate information on the issue. The USARK Action Alert (HERE) allows you to contact your federal representative and oppose this push by anti-pet groups. USARK also contacted the entire federal delegation with our opposition. USARK President Phil Goss headed to New Orleans last week and presented at the International Herpetological Symposium. Goss educated the attendees on the hidden anti-pet agenda threatening our community by non-profit organizations posing as animal welfare groups. The size and influence of this agenda was an eye opener and attendees took note. The call for support and participation from members of the herp community was a recurring theme. If our members sit back and allow these groups to do as they please, the herp community will fade quickly. The question and answer portion following the talk was the most active of any presentation at IHS. Goss also used this IHS opportunity to network with influential members of the herp community and solidify the importance of USARK. USARK will be attending two shows this coming weekend (August 10-11). We will have a booth covered by our supporting team at NARBC in Arlington, TX. USARK greatly appreciates all that Bob Ashley, Brian Potter and the NARBC crew do to support us and the herp community. Be sure to attend the USARK/PIJAC benefit auction Saturday night and hear what Brian Potter has to say. Show details can be found at www.NARBC.com. USARK President Phil Goss will be at the Reptile Super Show in Pomona, CA. A benefit auction will be held Saturday night that is open to everyone with all proceeds going to USARK. A huge thank you to Ramy Guirguis and the Super Show crew for all they do to support USARK. Show details can be found at www.ReptileSuperShow.com. USARK will also be present at the National Reptile Breeders Expo held August 16-18 in Daytona, FL. If you would like to volunteer, please respond to this email or send an email to info@usark.org. More details on the show can be found at www.ReptileBreedersExpo.com. NEPA requires agencies to take a hard look at the impacts of their regulations and other major actions by mandating rigorous analysis for the public to review and comment. In the context of its ongoing effort to ban the full nine species of python, anaconda, and, especially, the boa constrictor, FWS’ action would free itself from having to evaluate the strong scientific evidence contradicting the USGS climate matching study used to justify the ban. Applying a categorical exclusion would also mean FWS can ignore USARK’s comments on the listing’s adverse environmental, social and economic impacts. Categorical exclusions from NEPA are reserved for classes of actions that have no environmental impact, like adoption of federal employee personnel policies, staff guidelines, acquisition of real estate, and the like. They were never intended for rules the, by nature, are designed to impact the environment. This first ever Lacey Act listing of a species in common pet ownership is a precedent for future similar actions with similar uncertain and counterproductive impacts. The sheer impact in terms of the economic and social consequences of the constricting snake listing sets it apart from any Lacey Act injurious listing that preceded it. If any such action were subject to NEPA, this is it. In the context of Lacey Act listings, NEPA is both essential and legally required. This criminal statute simply grants the Interior Secretary, acting through FWS, the power to make injurious determinations. NEPA supplies the requirements for scientific analysis and public comment. Without NEPA, people could have their livelihoods taken away based on undisclosed science and whims of federal bureaucrats.